Rolled canvas printing might be exactly what you need to make your digital artwork or special photos larger than life. Several sizes are available, making these canvases a good match for any large or small artwork. Choose between cut to size or a 2" border for your rolled canvas, depending if you want to use for DIY frames, or if you plan to use custom frames. Print a single canvas or up to 100 in a single order. Prints will arrive rolled in a tube and can be ready to print as fast as 1 day. Give us a call and our print experts will be happy to answer any questions on canvas prints or any print materials. 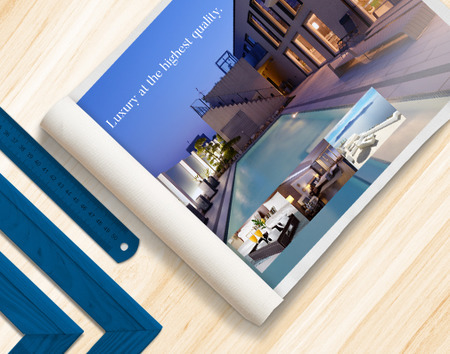 Use our rolled canvas templates so your artwork and photos are sized and formatted perfectly for your desired size. PrintPlace.com layout templates can be downloaded for each rolled canvas size below, in an EPS, PDF, or JPG format for Illustrator or Photoshop. Professional Rolled Canvas Prints Bring Life to Photo Enlargements and Artwork. Print rolled canvas and bring art and beauty into your space in just a couple of business days. Custom canvas prints are a convenient way to make your photos and digital artwork exist in a real world space. These prints can be used for gallery exhibits, home decor, restaurant and cafe designs, and so much more. Don’t have much space available? Storage for rolled canvas prints is easy since you simply roll them into a compact size. This means they are a practical answer for archiving copies or backups of your artwork. Rolled canvases are the best format for anyone who wants to use their own custom frames for their artwork as well.